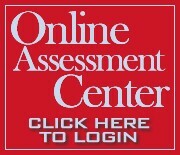 Online Assessment Center clients only. If you're new to the Online Assessment Center, contact us today to get your login code. When your candidates or employees complete the assessments online, you'll receive immediate results – no waiting for processing or scoring or mailing. You'll know immediately if your candidate is right for a job. Timely results allow you to accelerate the process for attractive candidates or suspend the process for high-risk choices. Assessment results provide critical information before investing more management time, travel dollars, and frustration with poor candidate prospects. The best way to learn how the system works is to test it yourself. To test the system, you'll need an "Authorizing ID" and an "Authorization Code". Obtain these codes by contacting us now. Or, if you have questions about using the Profiles system, feel free to call us for a complimentary consultation: 253-380-9665.